Hello again! 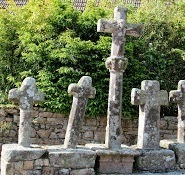 If you're new to this blog, welcome! You're all already our blog family once you clicked on any of our links! 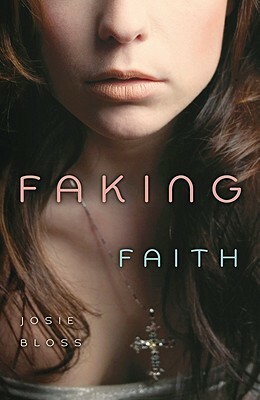 Today's book is Faking Faith by Josie Bloss. Summary: "Dylan Mahoney is living one big unholy lie. Thanks to a humiliating and painfully public sexting incident, Dylan has become the social pariah at her suburban Chicago high school. She's ignored by everyone--when she's not being taunted--and estranged from her two best friends. So when Dylan discovers the blogs of homeschooled fundamentalist Christian girls, she's immediately drawn into their fascinating world of hope chests, chaperoned courtships, and wifely submission. This book was very interesting! It was slow in one part, but mostly it was wonderful! I was into the book, not believing that there are families out there, girls out there, that were like the ones in the book. It made me feel very thankful for the friends and family I have. The characters were whole with great background stories, and this book was completely believable. I loved how Dylan made a new persona and got to live a whole new life, because I know that, at one point or another, we've all wanted to do that. Her making it up after the big "uh-oh" in her life was understandable, as was her new obsession with certain blogs. Faith was the perfect new person to invent, and visiting Abigail was just what she needed in her life. As for the ending, it was superb. In Conclusion & Suggestions: Read it, especially if you've ever dreamt of a new life, and/or you want an inside look into a family like the Duggars (but a bunch stricter and less acceptance). You'll end up comparing your life to the ones in the book, and you'll also compare both of the girls' lives, coming to conclusions on which aspects are good and which aren't. I recommend reading this on any day, really. It's a good, fast read!